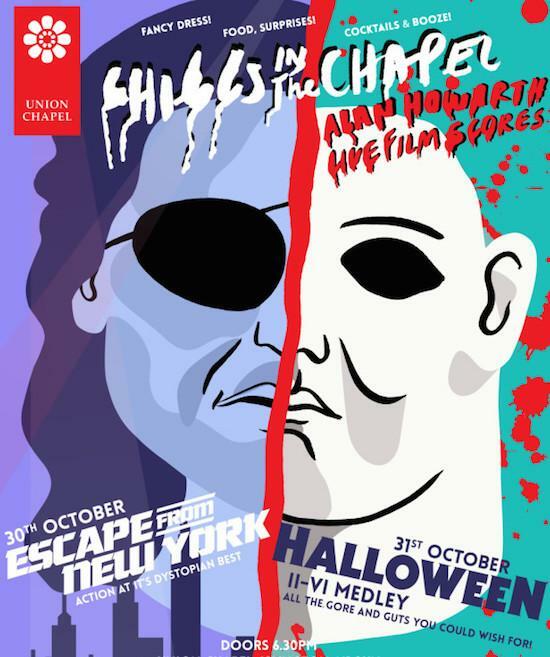 The chapel’s annual Halloween film night will mix cinema and music for suitable Halloween entertainment. On Friday (October 30), cult classic Escape from New York will be aired with the original score, composed by John Carpenter and Alan Howarth, set to be performed live and in full by Howarth alongside the film followed by a reworking of the score. The film stars Kurt Russell and was deemed by Carpenter as “too violent, too scary, too weird” to make. For tickets, head here. The following night (October 31) will see a medley of Halloween II - VI. Howarth will perform music from the five films live alongside excerpts from the films on Halloween in the surrounding of the Grade-1 listed Union Chapel. This event will be for over 18s only and you can get tickets here. Find out more information about Chills in the Chapel’s 2015 events here.